The U.S. Small Business Association has a fantastic guide to get you started, and if you can write with clarity and cohesion, you might be able to pen it yourself. If you’re not confident in your writing abilities though – if you can’t make it ring clear as a bell and hold up to the scrutiny of your most picky high school English teacher – get some help and hire someone with experience writing and editing business plans. Check out local entrepreneur centers in your area. Many of them offer free or low cost membership for small business start-ups. Every city is different, but many can connect you with a mentor, invite you to business plan workshops, and walk you through the big picture stuff and the nitty gritty details of launching your business. And it all starts with your business plan, so let’s take a look at the basics. 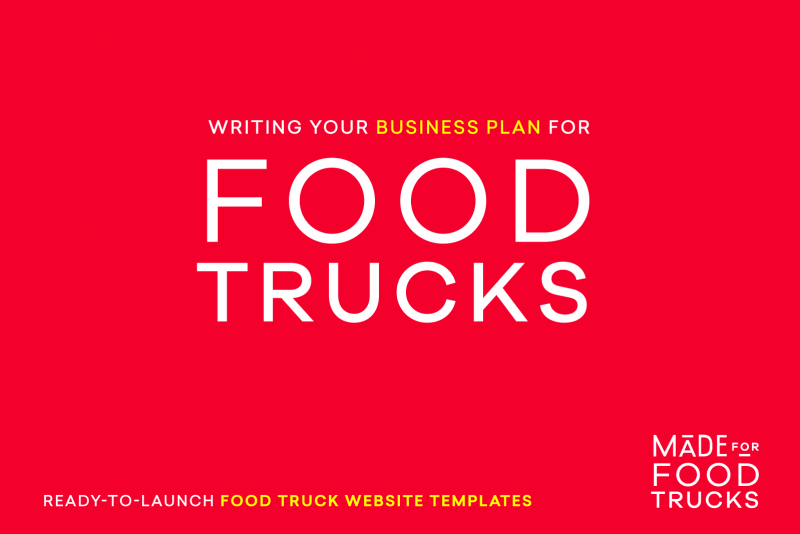 Your food truck business plan will be a multi-page, detailed document that outlines your first 3-5 years, plans for milestones and how you’ll meet them, and makes revenue projections. The Small Business Association has a step-by-step tool to guide you through the details. Keep in mind that it will seem like you’re repeating yourself a lot. Don’t stress about it. The repetition is necessary to completing the plan in full. Funding Requests and Financial Projections are a critical part of your plan and you’ll want to consult with a CPA on this to make sure it’s realistic and answers all of the questions potential lenders and investors will have.